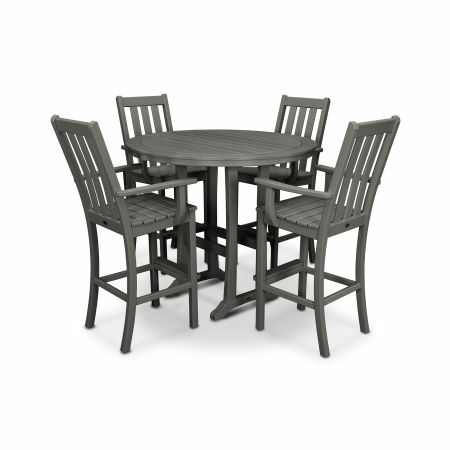 Transport your wine tasting or morning brunch into the relaxing comfort of the great outdoors with a POLYWOOD® outdoor bar set. Durable HDPE lumber withstands the elements while elevating the design of your balcony or patio. POLYWOOD® outdoor bar sets help you enjoy a quiet evening and a glass of wine while reveling in the ambiance of the great outdoors. Invite some friends over for a little taste testing, or break out the cheese board for a delicious afternoon of flavors. 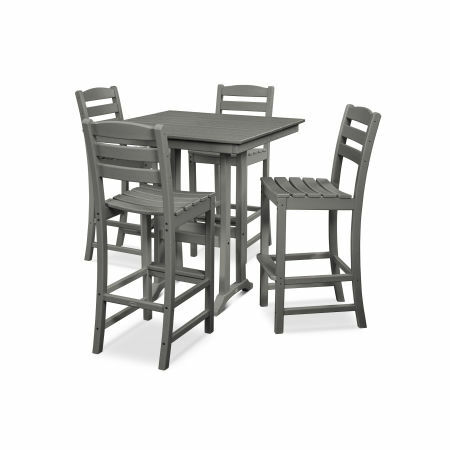 Whether you’re serving or sitting, our selection of bar furniture makes any gathering more comfortable and welcoming. 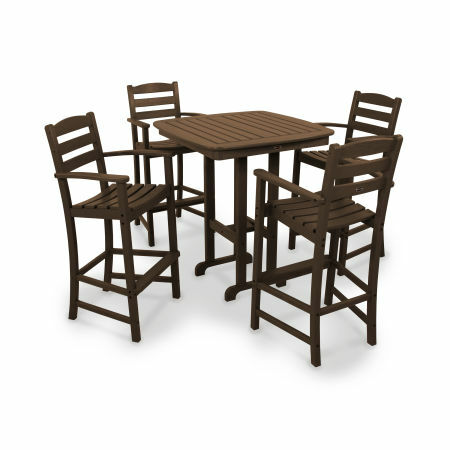 Our wide variety of customizable bar sets allows you to set the scene on your balcony or patio. Whether you want to evoke the hippest club or the coziest dive you can treat your guests to a homemade cocktail while seated in durable, comfortable bar sets. Watch the night fly by as the good times roll and the drinks keep coming. 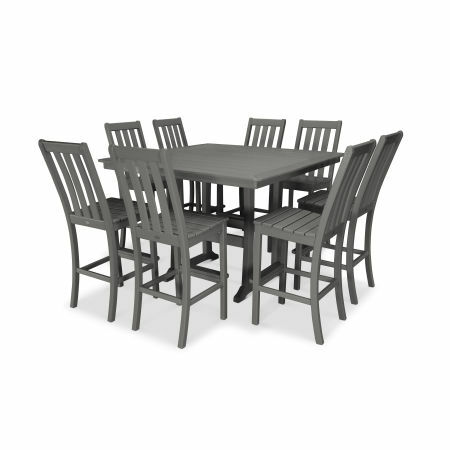 What’s a great bar set without accompanying bar chairs and tables? Whether you want a classic, cafe style bar chair or something a little more modern, we’ve got a great selection of chairs and stools. The Bayline design has a beautiful natural finish, while the Metro boasts sleek, elegant lines. Our bar tables are available in a wide variety of shapes and sizes, from a traditional 24” bar table all the way up to a 37” x 72” Nautical Bar Table. 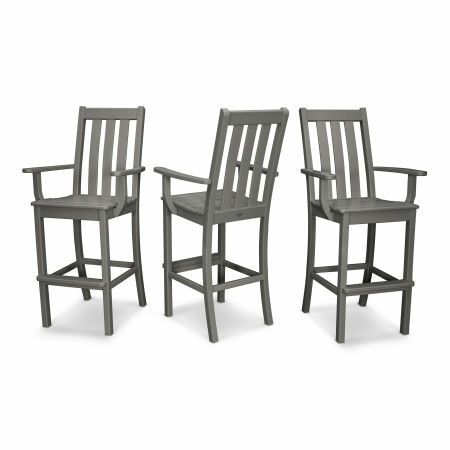 Pair any of our bar tables with our bar and counter chairs and stools for a beautiful gathering space. 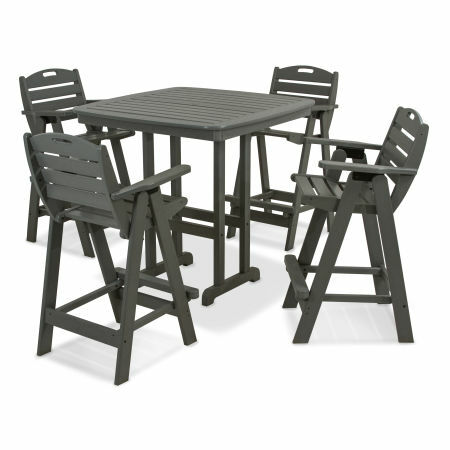 The secret to the longevity of our outdoor bar sets lies in the HDPE recycled lumber. Each bar set is constructed to fully withstand whatever nature throws its way, from torrential rain to scorching summers. 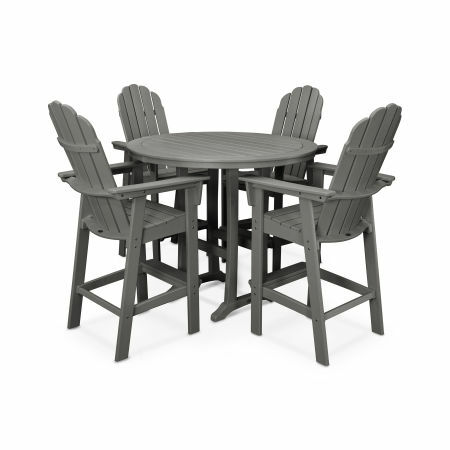 Even if left outside throughout the year your new outdoor bar set won’t splinter, chip, rot, peel, or crack. 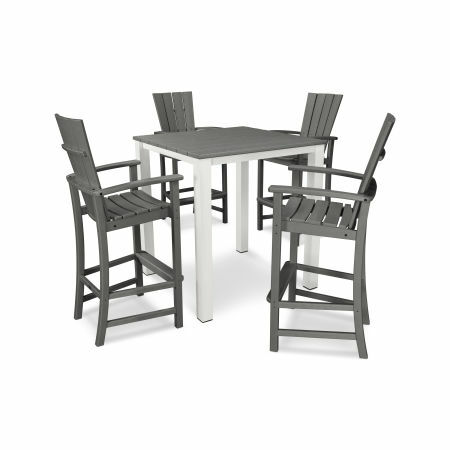 Because our outdoor bar sets are made with genuine POLYWOOD lumber you know they’re built to last and easy to clean Easily maintain your weatherproof furniture with a brief clean every few months. Even after a particularly bad storm or when you spot a bit of grime buildup just mix warm water and mild soap, wipe down your bar set with a gentle cloth, and rinse clean. It’s that simple! 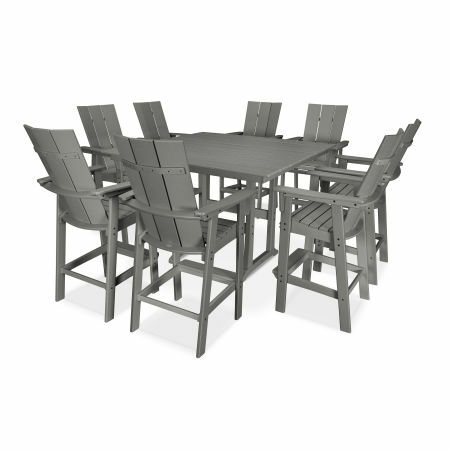 When you settle on the perfect outdoor bar set for your home you can select between several earth tones, neutral hues, or vibrant colors to elevate the design of your space. Thanks to our Color-Stay Technology your bar set won’t fade in the sun — UV-inhibitors and stabilizers are infused all the way through the lumber for lifelong vibrancy. Raise a glass and toast to the new year seated around a spacious Vineyard 9-Piece Bar Set. 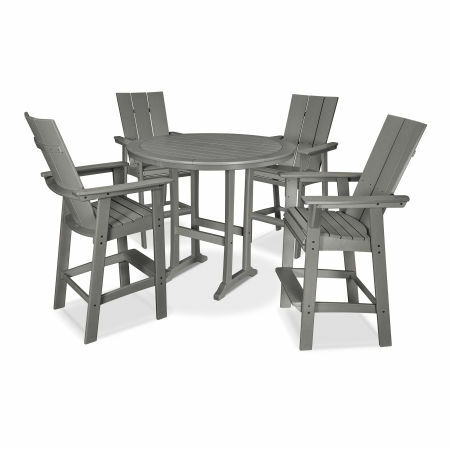 The casual comfort and durable construction guarantees your guests will remain firmly in their seats even when sharing in raucous laughter. Leave the frantic planning and reservations behind — all you need tonight is a table for two on your back patio. The contoured curves keep you and your sweetheart comfortable as you share chocolate-covered strawberries and your favorite bottle of wine. 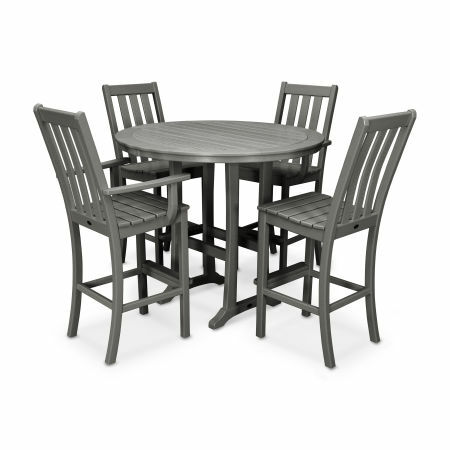 The main problem when ordering a POLYWOOD outdoor bar set is choosing the perfect fit for your space! We wrote the complete guide to ordering an outdoor bar or counter set so you can consider important factors like style, space, and size before settling on the ideal outdoor bar set that will make your backyard come to life.